Australia station held suspected diseased immigrants — but who are Rebecca and Tim? 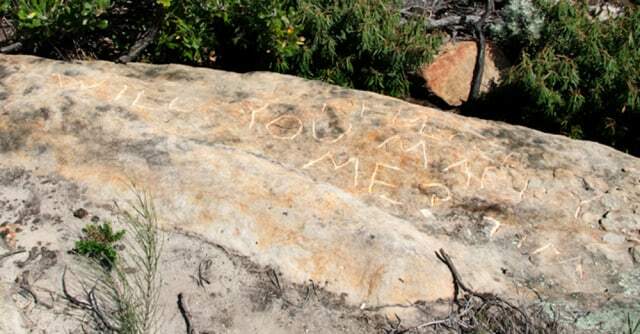 Discovered on a sandstone outcrop, just south of a decommissioned quarantine station, this carving reads "Rebecca will you marry me? Tim." The station was in use for 150 years, but this inscription was etched within the past 10 years, archaeologists say.